It annoys us to find Lakshmi with people we don’t like, people who we deem to be criminals and sinners. 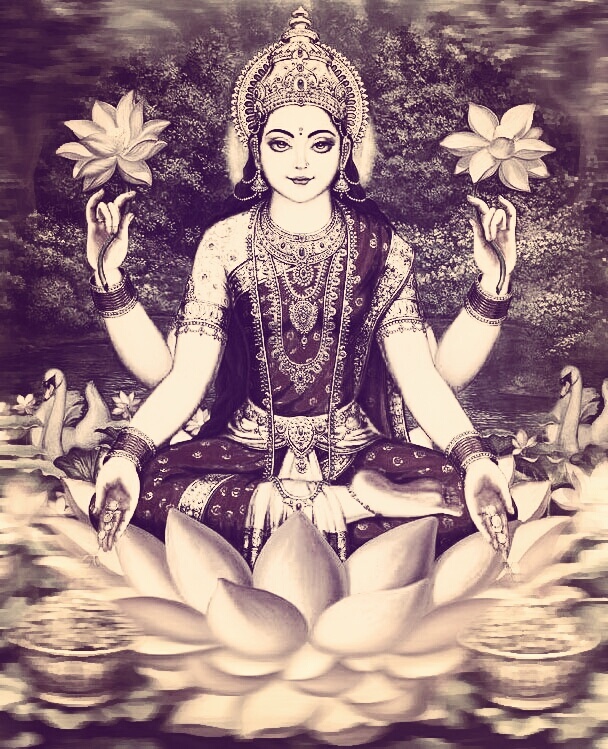 We believe that Lakshmi should abandon amoral and perverse people. But there she is, with them, and we find it exasperating, irritating and so unfair. In mythology, all villains seem to be rich. Ravana lived in the city of gold and Duryodhana lived like a king till the day he died. Contrast this with Rama who had to live, for no fault of his, in the forest for fourteen years and the Pandavas who were born in the forest and had to live in the forest, in abject poverty, for most of their lives. Why is it so? Does Lakshmi like bad people? Or is she just indifferent to the notions of ethics and morals and propriety and virtue that matter so much to us?